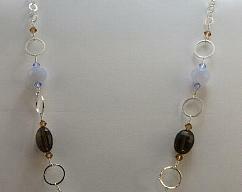 From top to bottom this necklace is chocked full of gorgeous Semi-Precious Stones. 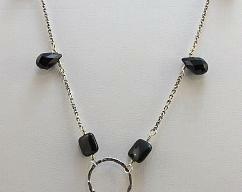 Sterling Silver lobster claw clasp and a Silver Plated oval link. 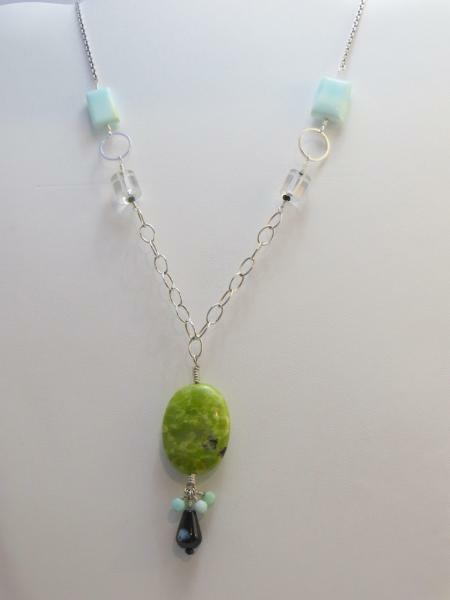 Two Clear Quartz Crystals, Sterlings Silver chain, two Amazonite Stones, two Silver Plated circles, two Vintage Glass cylinders with tiny colored fluorite beads on either side. 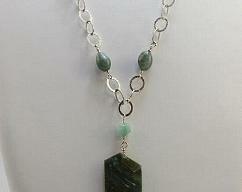 More Sterling Silver chain, Chrysoprase, four round Amazonite stones, tear drop shaped Black Onyx.